Sara Sutton Fell, the CEO of FlexJobs.com, allowed me a sneak peak inside her work at home job database and flex-work related services. 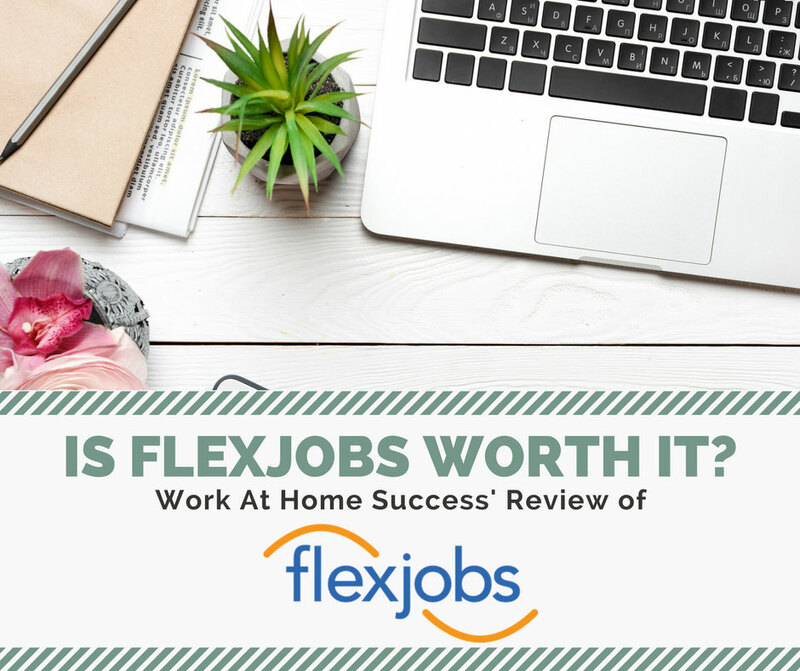 I’m always on the lookout for great work-at-home job related resources, so I was particularly interested in seeing what FlexJobs had to offer. What I found is that it offers quite a bit. 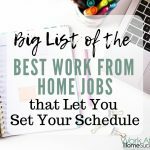 Not only can you search for work-at-home jobs or other flexible work options, but the site allows you to personalize your services so that you get updates on new jobs that fit your interests, and the ability to have multiple resume profiles. From within the FlexJob dashboard you can save or apply to a job, and even send it to a friend. Here is my review of Flexjobs. 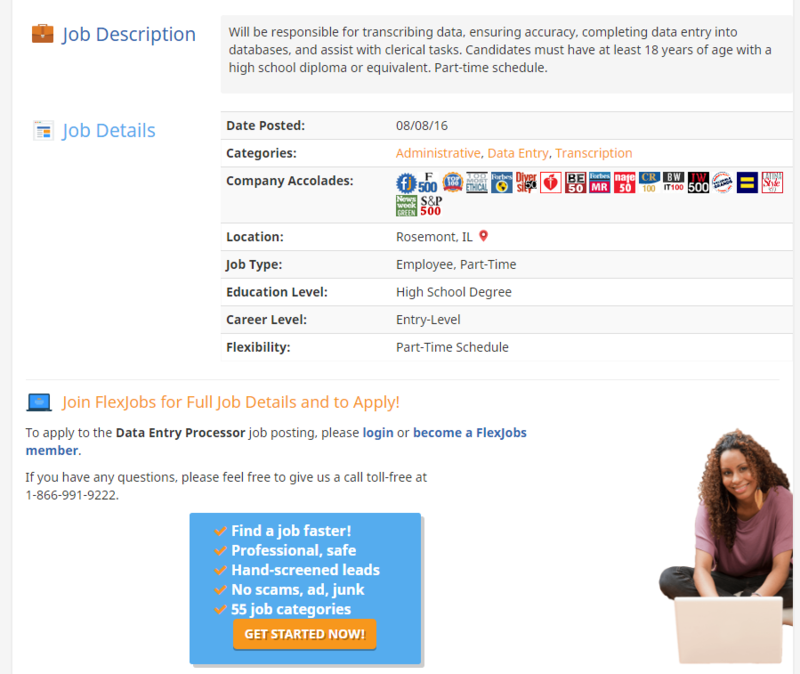 FlexJobs.com offers screened jobs in 55 categories including accounting, call center/customer service, education, marketing, research, and transcription. It also offers various search options including by job type, company name, and location. Plus there are checklists, articles, and other tools to help you improve your resume and job search. Not only do you get job announcements, but also, you’ll learn about the job including employer information and accolades. 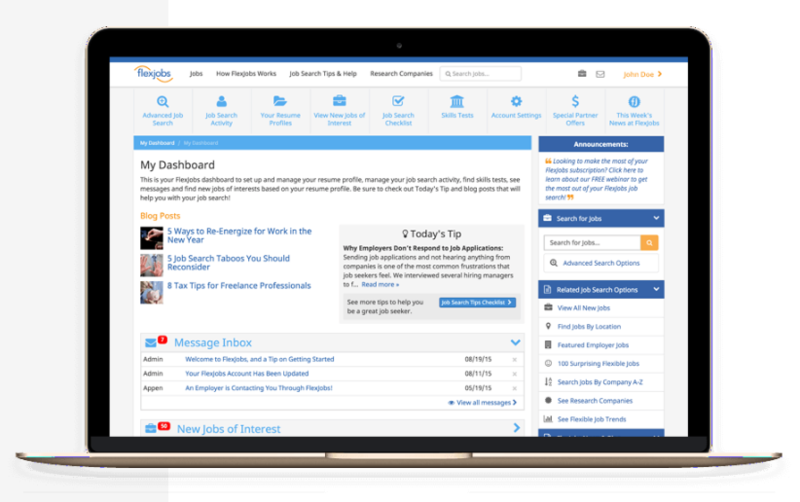 As a subscriber, you get your own dashboard from which you can find out what new jobs fit your search criteria, messages related to your applications, job hunting tips, and much more. FlexJobs offers much more than just screened work-at-home and flexible job leads. You get tips and resources, information about the companies, skills testing to make your resume stand out, special offers, and much more. Like most telecommuting job databases, FlexJobs is not free, but is well worth the price ($49.95/year, $29.95/3 mos or $14.96/mo) for the SERIOUS job hunter. And by serious I mean someone who is committed to finding a work-at-home job AND understands that home-based jobs are like traditional jobs that require specialized skills and experience. Someone who is still hoping to sign up to type at home is not suited to FlexJobs (or working at home for that matter). For people wondering about the rule that you shouldn’t pay for a job, the rule is actually that you shouldn’t pay to be hired. It’s okay to pay for services that can help you get a job such as resume writing help or a good telecommuting database. In the traditional work world, it’s not uncommon to pay for resume help or other services to get a job. The same is true in the work-at-home world. What you don’t want to do is to pay someone to HIRE you. FlexJobs.com is simply a service that can speed up the process of finding legitimate work-from-home jobs. It’s still up to you to convince the employer you’re the right one for the job. 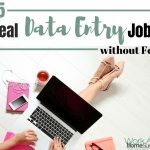 There are not many telecommuting databases that I recommend (only 2), but FlexJobs.com offers not just a database full of flexible jobs, but also tools and resources to help you be successful in your work-at-home job search. For anyone who is clear on their skills and experience, and is dedicated to finding a work-at-home job, FlexJobs.com can be a worthwhile resource. Thanks Jon. There are certainly many benefits to owning your own business over having a job. But some people don’t have the desire to own a business, so having the option to work from home in a job is great for them. I just discovered FlexJobs yesterday, and I’m very excited about the possibilities! The $50/year rate is a much better value than the $15/month rate, and they’re offering a JOB30 discount coupon to get 30% off. That brings the cost of the first year down to only $35! 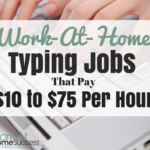 Considering all the time you save by looking at pre-screened, legitimate work-at-home jobs, it’s a great bargain. I think I may sign up today. I’d like to add that FlexJobs is a great resource for entrepreneurs like me. I am a freelance consultant with my own business, and FlexJobs could make it easier for me to find contract jobs in my fields of expertise. 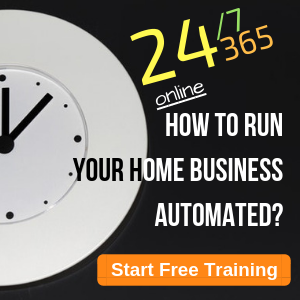 You don’t have to choose between owning your own business and working at home. You can do both at the same time! Hi Fred, I agree, the yearly cost is a great deal and Flexjobs offers lots of great services beyond listing available jobs. Thank you for posting. Why pay for FlexJobs? Lots of work-at-home sites belong to it, rip off their listings and post them on their own websites for free? Really dumb to pay for it; Flexjobs should be doing much better policing of these sites. Hi Elena, I can see what you’re saying…why pay for something if you can get it for free? 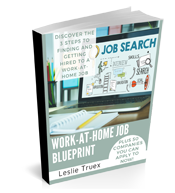 However, many people struggle with finding the legit jobs on free sites or they want the convenience of having someone else weed through the scams, schemes and non-work-at-home jobs that sometimes show up when you search for work-at-home jobs on free sites. 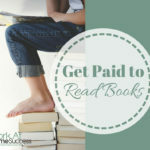 For those are serious work-at-home job hunters that know what they’re looking for, the paid sites can save a lot of time. Plus FlexJobs offers many other great tools and resources. And not all it’s jobs can be found elsewhere. For someone like you, who clearly understands how and where to find work-at-home jobs, then Flexjobs and other telecommuting databases are probably a waste of money. I don’t use them either except when I’m checking them out for possible inclusion as a resource at Work-At-Home Success. But I do believe there are some people for which these sites offer legitimate help. Thank you for commenting! I just signed up for FlexJobs last night. It cost me under $35 for a whole year’s access, which is less than $3/month. I’m very busy, and it’s certainly worth it to me to pay someone else $0.10/day to weed out the junk! 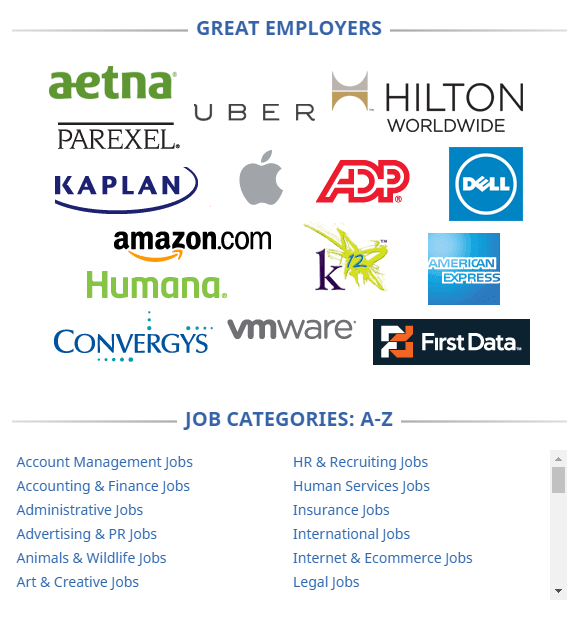 FlexJobs presents me with the best jobs and organizes them nicely on one easy-to-use website. Visiting multiple sites would certainly take up more than $0.10/day of my valuable time! My test scores and percentile rankings can now be viewed by prospective employers. You can earn badges of distinction for placing in the top 20% or top 10%, too. This is valuable because it helps you stand out among the competition and increases your chances of getting the job you want. If you do badly on a test (scoring under 60%), the results won’t be visible to employers, so there’s no harm in trying. You can retake any test after waiting a day. FlexJobs posts your best score, so there’s no harm in retaking a test if you think you can do better. Hi Fred, Thanks for sharing that. It adds a lot of value to hear the experiences of someone using the service. I’m glad your taking advantage of all the FlexJobs has to offer. Good luck on the job search. P.S. What I meant is that I took $40 worth of ExpertRating skill tests for free and paid $35 for my FlexJobs subscription, so I’m ahead $5. 🙂 I plan on taking lots more tests, too, so the savings just keep adding up! Thank you for this article, you made me discover the flexjobs.com site. I have a friend who was looking for work from home, I will now be able to learn. Glad the article helped you find a new resource. Thank you for commenting. Since it was looking for transcriptionist jobs that brought me to FlexJobs, I’m a little confused about the remark regarding typing at home. There are an awful lot of transcription companies out there who are relying on accurate typists working out of their homes. And though we are using computers now, instead of typewriters, it’s probably still the same type of people performing this work…the type who were pioneers in the work at home industry and are still quite perfectly suited to working at home. Hi Rebecca, I’m not sure what remark you’re talking about, but often I warn people away from jobs that are listed as “typing”, because that’s what many scammers use. However, transcription is a viable job, although you should still use caution when searching for transcription work. 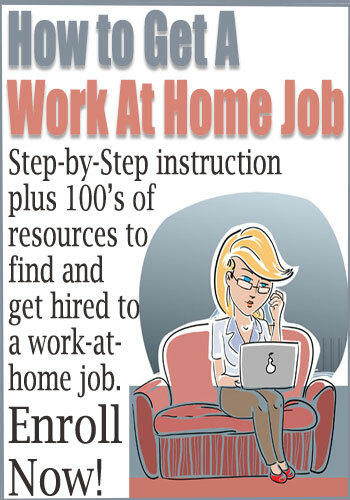 A telecommuting database, such as Flexjobs, helps weed out the scams, so you’re safer when searching jobs there. 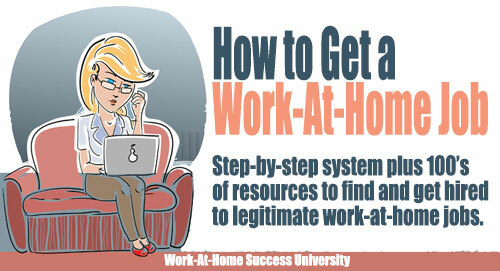 Thank you for visiting Work-At-Home Success! Such an amazing and knowledgeable article. I was searching to do a job from home. And actually i am a freelancer. Thanks for suggesting this site. Will definitely check it out today. 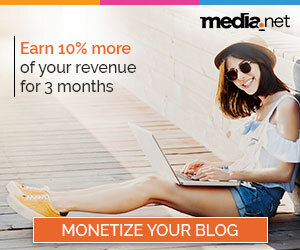 Hi Shawn – Thank you for visiting Work-At-Home Success. I’m so glad you found value in the Flexjobs review! You mentioned that you only recommend (2) telecommuting databases. One of which is flexJobs. Whats the other one? I’ve researched some only to be disapointed with especially their cost. There is one I’m considering but don’t know if I should mention it here. It seems reliable and cost effective for what they offer, (much like flexjobs). I’d like your thoughts if perhaps you’re open to my telling you who they are. Let me know. Hi Fred, The only two telecommuting databases I consistently share are FlexJobs and HomeJobSpot. Here are links to my reviews of them: FlexJobs. HomeJobStop. I hope that helps. Thank you for visiting WAHS!